State Roofing is proud to exclusively offer Euroshake® Rubber Roofing – a high-performance roofing system that’s designed to overcome extreme weather impact and temperature variances. If you want a roofing system that looks just like wood but doesn’t have the inherent weaknesses, this roof type is your best choice. Advanced Simulated Shake Roofing Euroshake® Rubber Roofing is made up of 95% recyclable materials, and the primary ingredient is rubber. 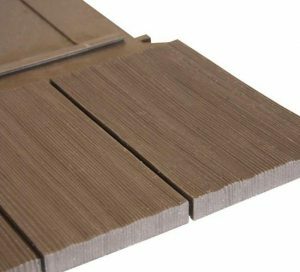 Unlike asphalt, this material has a higher durability and is actually one of the few simulated shake roofing that’s walkable. It’s also lightweight at around 2.1 to 3.4lbs/sq.ft. This means that despite being thicker than asphalt, it doesn’t require additional support on the structure. Permanent Roofing The main draw to this revolutionary roofing system is its beauty. Euroshake is an absolutely gorgeous shake substitute roofing system. Beautiful and durable—it comes with a 50 year warranty. With an asphalt roof, you have to worry about its operating life span—which can often be just 18-22 years. Euroshake® Rubber Roofing’s higher durability and better elemental resistance make it a very durable roofing system, in turn making it the better choice for a long-term roofing investment. Professional Installation Our team exclusively offers this revolutionary roofing system, and working with us means you’re also taking advantage of our professional workmanship. A roofing system is only as good as it is installed. When you work with us, we’ll make sure that your new roof will look good and perform well for a very long time. State Roofing is a family owned and operated business with over 60,000 projects installed since 1968. You can count on us to offer you top-of-the-line roofing systems that beautify and protect your home. Need help with your roof or deck? Call us today at (800) 810-7305 for more information on our services. We offer complete roofing services throughout Kirkland, Bellevue, and Seattle, WA.